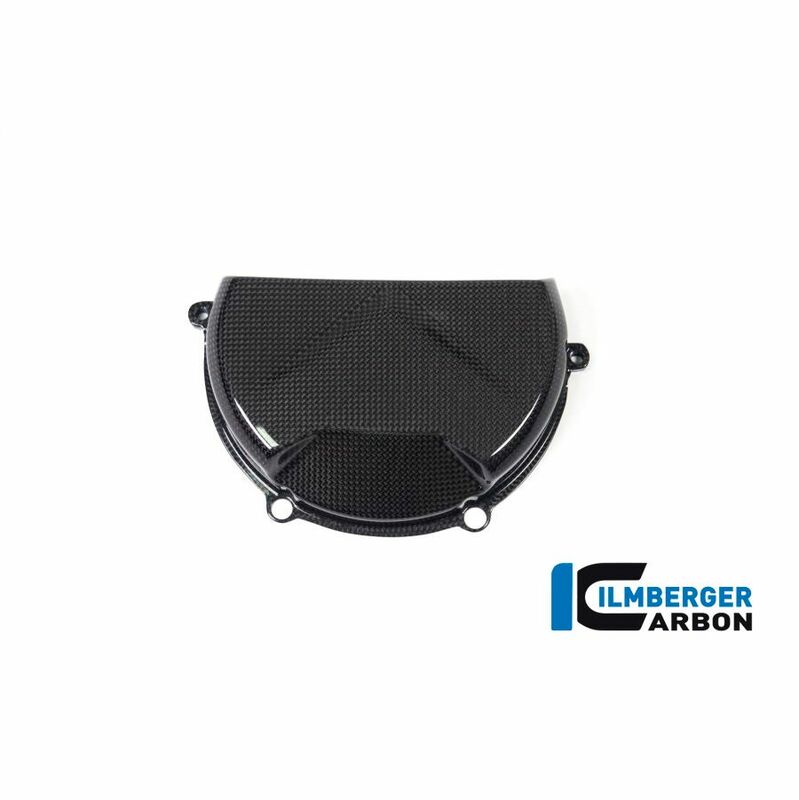 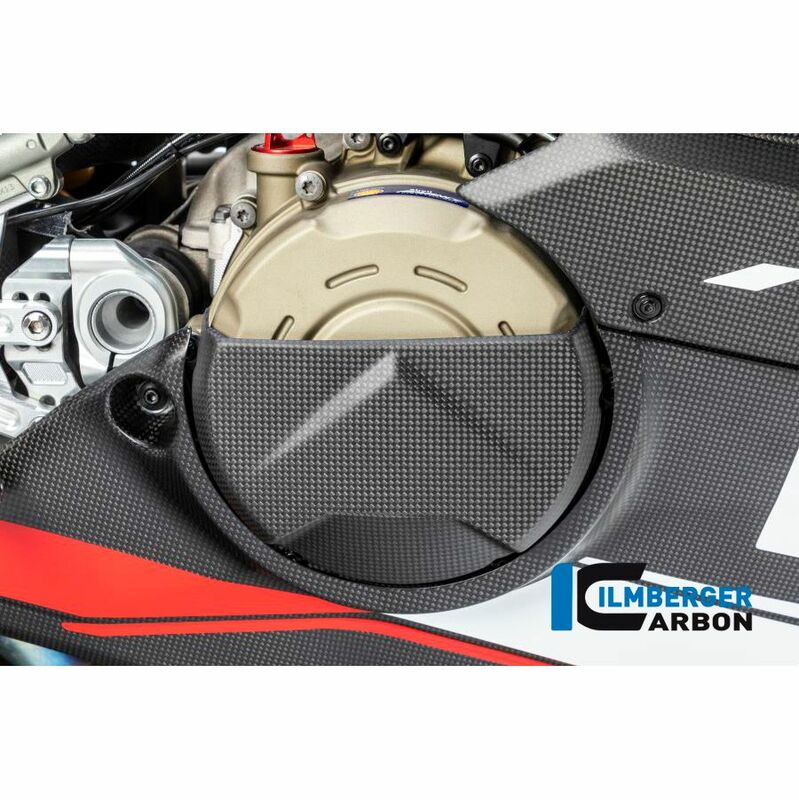 Ilmberger Carbon Parts offers carbon fiber components to the highest quality. 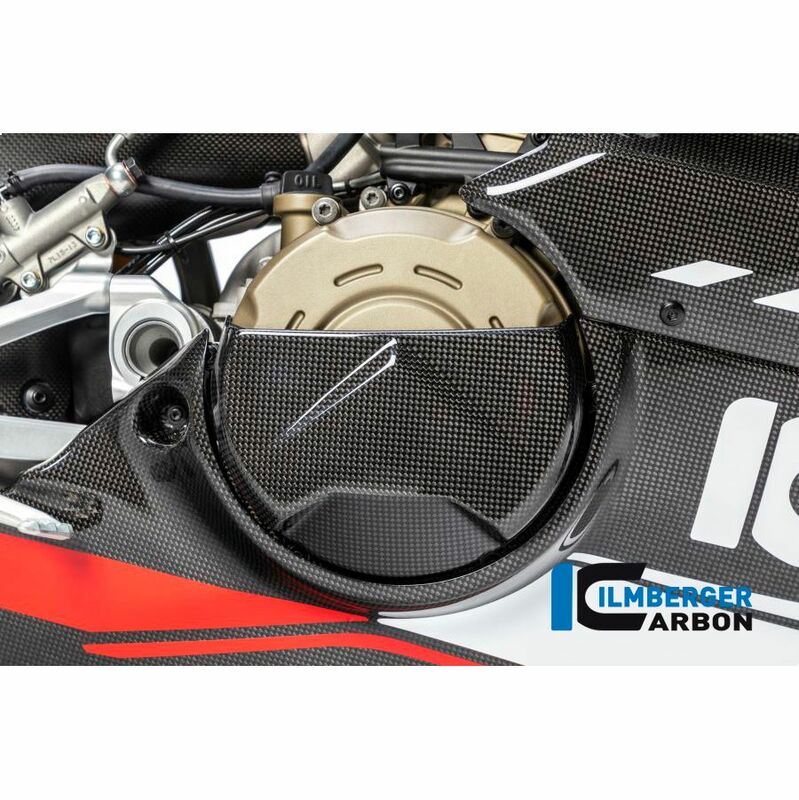 The Clutch cover for the Ducati Panigale V4 / V4 S. The Ilmberger Carbon Alternator cover is a protective piece, mounted over the original part. It is mounted only on original mounting points.. 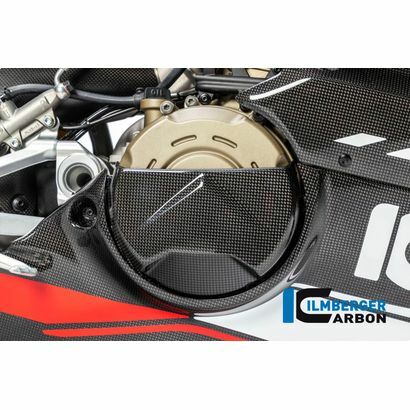 This is the same part as offered by Ducati Performance.